I know I'm not alone when I say that 99% off the time, I cry during worship at church. Worship is one of the main ways I connect and serve the Lord and our church band is beyond captivating. Now I am not sobbing but tears well and fall simply because I am in awe day after day of the undeserving love and grace that Christ bought for us. Something that seems to bring me so much reality is when songs refer to Jesus as the lamb of God. The lamb that was destroyed and annihilated for my daily choice of sin. Throughout the Old Testament you learn that Israelites sacrifice lambs not only during Passover but as continued offerings. I remember telling Jon how sad and uncomfortable the blood offerings made me feel (I cry watching Planet Earth and seeing a visual of the circle of life). But the Lord God knew the people needed to learn about blood offerings before He sent Jesus to atone for their sins. Then Isaiah, who foretold the coming of Christ, says that Jesus is the Lamb of God who would be given as a sacrifice for not only the nation of Israel, but the whole world. It's amazing to think how intricately the bible is woven together. Small details, names, and numbers in the Old Testament are shown as perfect signs of God's providence in the New Testament (and in my life today). Like I said above, animals are precious beings in my eyes so thinking of a tiny, snow white lamb, who has lived a short life knowing no sin shedding blood in my name is heartbreaking. Not as heartbreaking as Jesus, fully man, fully God, doing the same. Remember in the Old Testament when God told Abraham to sacrifice his son and he laid Isaac up on the altar and God stopped him? That also makes me sick to my stomach knowing that God would later watch His perfect baby boy die a slow, painful death. It wrecks me, and humbles me, day after day after day. Romans 6:23 tells us for the wages of sin are death...very serious and very harsh. But friends, there is beauty in that blood of Jesus!! We are no longer captive by sin but free in Christ. The lamb that died to free Israel, and died to free me. The most perfect sacrifice. Your Great Name (my favorite version sung by our worship leader, Jimmy McNeal, who was on American Idol a few years ago). The lyrics say worthy is the lamb that was slain for us. 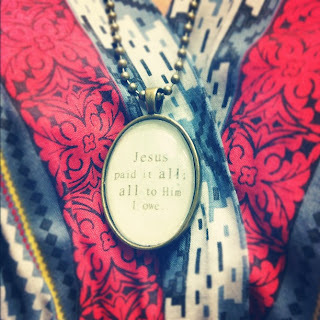 Jesus Paid It All -"praise the one who paid my debt"
Hallelujah, Tenth Avenue North- "Hallelujah for the blood fo the lamb that was slain" and "You took our sin inside Your wounds, Your wounds we hide away"
Is there a topic, phrase, or words in the bible that no matter how often you hear them, wreck and humble your heart? I love love this post! I am definitely a worshiper at heart. I actually get more spiritual,connected and more out of worship than the actual service. Jesus is always touching my spirit during worship. and many times I do cry <3 He is so Awesome! He is the great Alpha and Omega, The Great I Am! I would be nothing without Him. The passage of the bible in John where John is saying "Prepare ye the way of the Lord." Always reminds me of what I am to do on this earth. I feel like I just had church right here on your blog, Ruthie. What gets me is that they had to bring in a lamb into their home treat it as a pet and then sacrifice it, after getting attached to it and taking care of it. Now, that's true sacrifice. "Blessed Assurance" is my song and story. 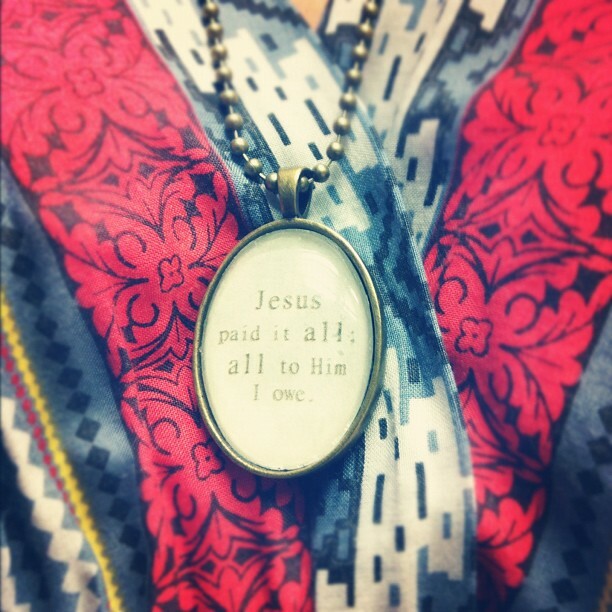 Jesus really is mine. I really am a heir of salvation and a purchase of God. This is such a greta post. It is kind of funny because we were tlaking about the sacraficing of lambs in church this past Sunday, and I was thinking the same things as we were talking about it. The poor fluffy little lamb. This post puts everything into perspective. Thank you for sharing your words! the hymn "It Is Well with My Soul" makes me feel so humbled as does the classic "You Are My King" praise song the first verse, "I'm forgiven, because you were forsaken, I'm accepted - you were condemned" makes me feel so grateful and in awe of his love. I love these posts because I learn so much from you. You're like my daily dose of Beth Moore. ;) You might think knowing this stuff comes naturally, but not for someone like me. I have to be told things like this, and for that, I thank you! Your sweet heart is so beautiful. Thank you again for the reminder of our Savior and his sacrifice! I, too, get very emotional during worship at church. If you really think about what you're singing about...how can you not get emotional?? One of my all time favorites that gets me everytime is Philips, Craig & Dean's song, Revelation. To think about being surrounded by people of every tongue, tribe and nation, praising our Savior is so amazing to me. Just thinking about it now brings tears to my eyes. What an incredible day that will be!